A 80s Lace Headband including an oversized Black Lace Bow detail – Ideal for a 80s theme, a Wild Child theme, or any fancy dress occasion! Step foot into the 80’s with this fabulous 80s Lace Headband. This 80s Lace Headband comes complete including a Pink Lace Headband with an attached Black Bow. This neon pink lace Headband features a black lace Bow that is offset to the side. Perfect for an 80s theme, a Neon theme, or any fancy dress occasion, this 80s Lace Headband will be sure to add the perfect finishing touch to any fancy dress look! 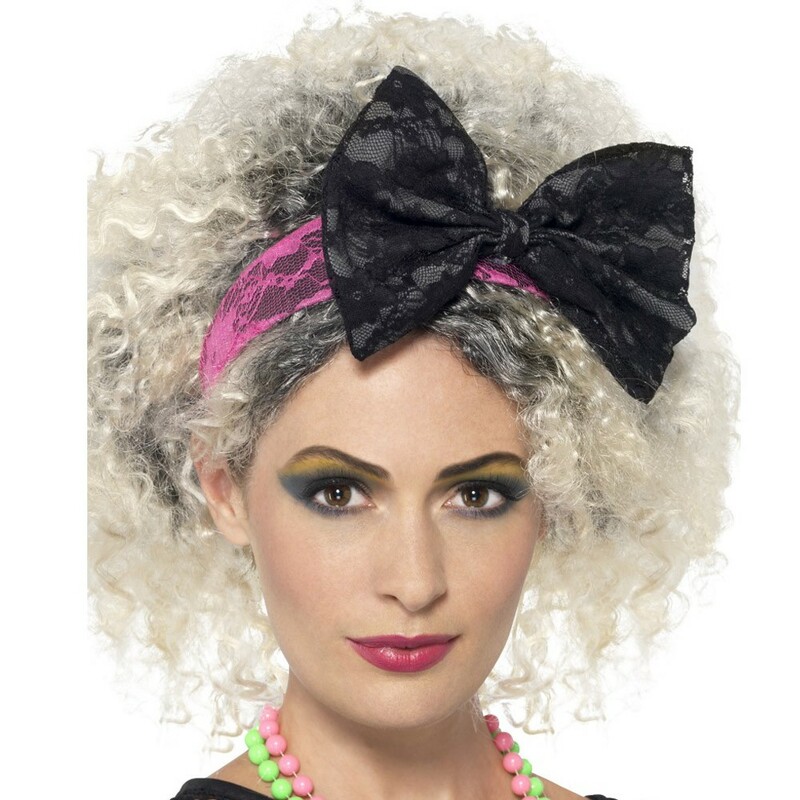 Reveal your inner 80s superstar with this brilliant 80s Lace Headband accessory.